The 22 story Brickell Key I is the first of two condominiums found on the island of the same name located just east of Miami. Because of its position, Brickell Key I condo residents enjoy great views of the ocean and Biscayne Bay plus Dodge Island and the Miami cityscape to the west. All of this is part of the perks of living on an island. The Brickell condos for sale of Brickell Key I have 447 to 4.076 square feet and have plenty of modern features including spacious balconies. Amenities for the building include tennis courts, a swimming pool, a gym, spa, racquetball, a play area for kids and an area where you can have barbecue. Because of the location of the building, the waterfront backdrop makes these amenities even more exciting. 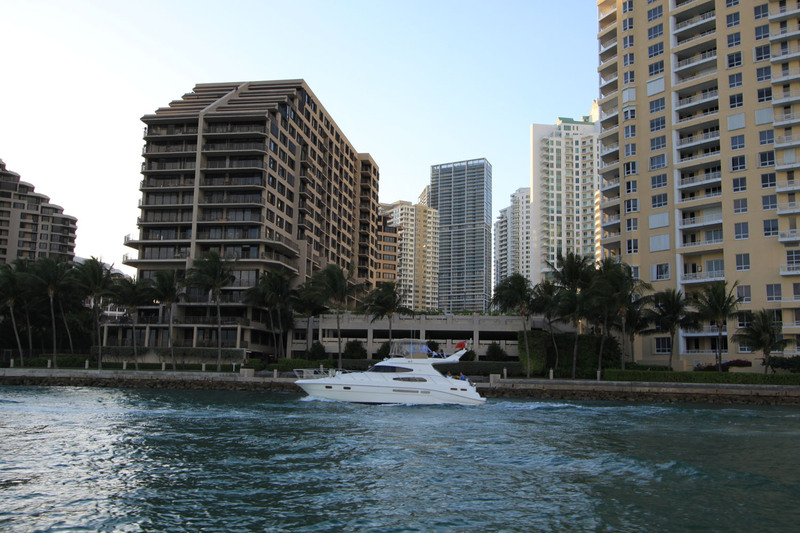 Something you may enjoying doing from Brickell Key I is just taking a stroll around the island since it's almost entirely surrounded by water. Downtown Miami is northwest of Brickell Key and is home to many attractions including the Bayside Marketplace, Bayfront Park and the American Airlines Arena. The MacArthur Causeway allows you to reach Miami Beach and Jungle Island, a great attraction for families with young children.